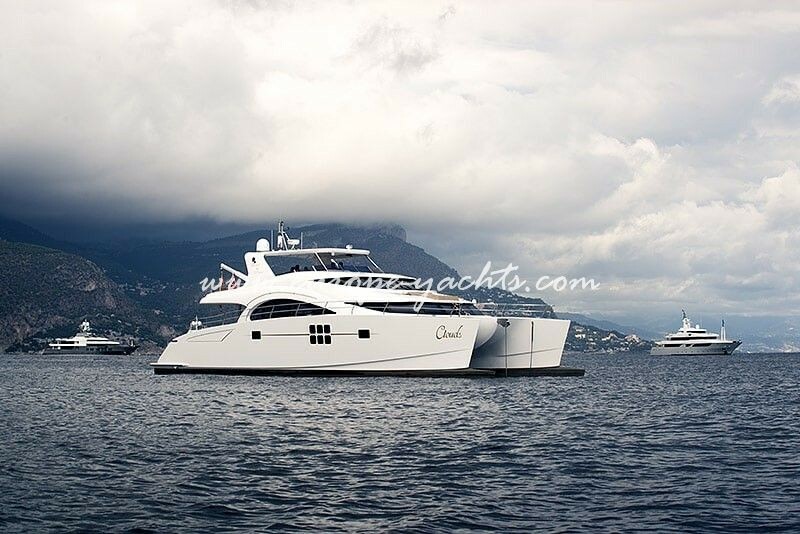 Representing the luxury motor catamaran of Sunreef Power MY for crewed rental boat with features of a luxury yacht. 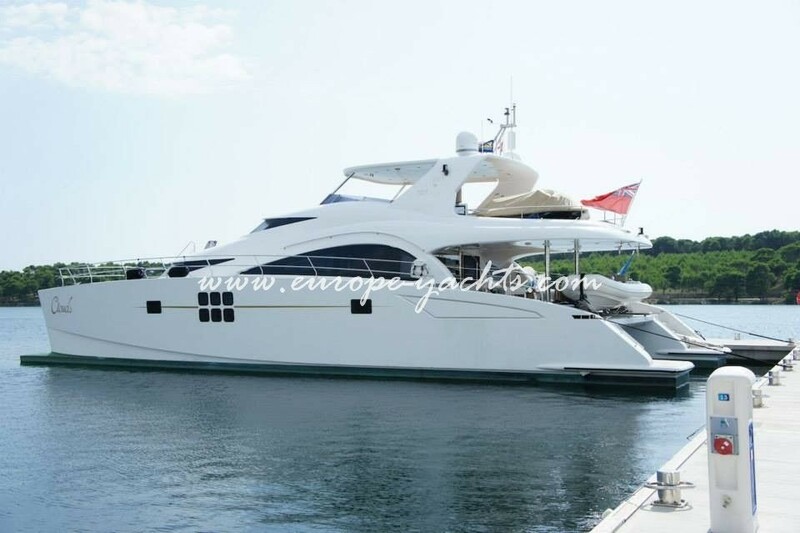 Sunreef Power 70 catamaran available for charter in Croatia. 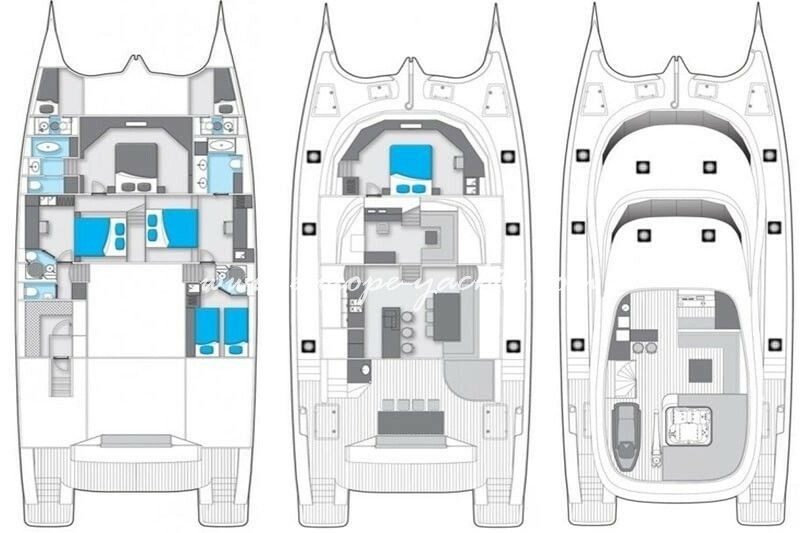 Luxury and comfort power catamaran made by Sunreef with lot of features is ideal power catamaran for people who wants fast yacht with lots of space and plenty of toys for younger family and friends. 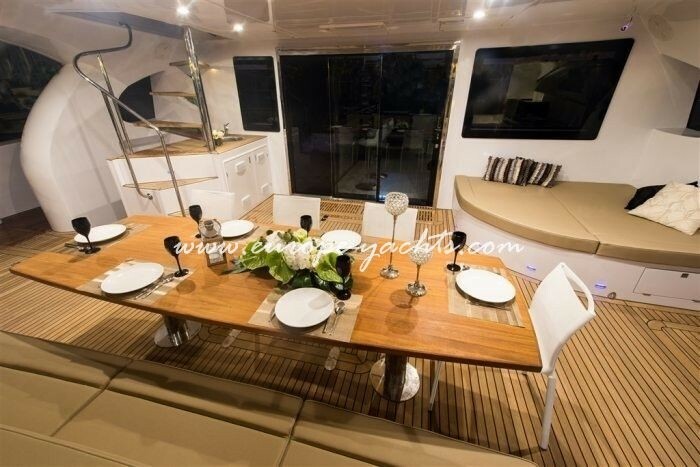 Sunreef Power 70 catamaran for charter with a amazingly large flybridge offering planty of space for sunbathing, relaxing, enjoying cruising from helm or alfresco dinging on the large outside table. Flybridge has plenty of things like a sunpads, waterproof flat-screen TV, Jacuzzi whereby lights that can turn this perfect open-air social area into a private oasis. 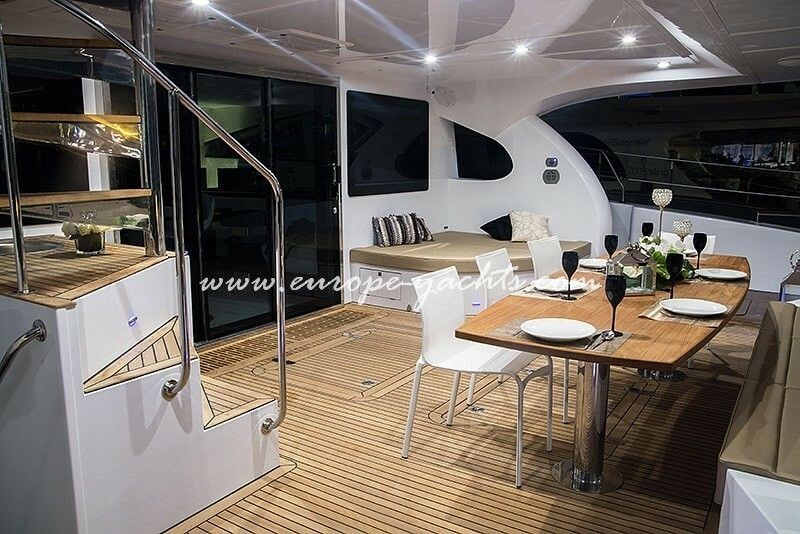 Below the flybridge you can find a spacious cockpit features one more dining table with sunpads and seating area to enjoy sea-views with a delight foo prepared by our crew. 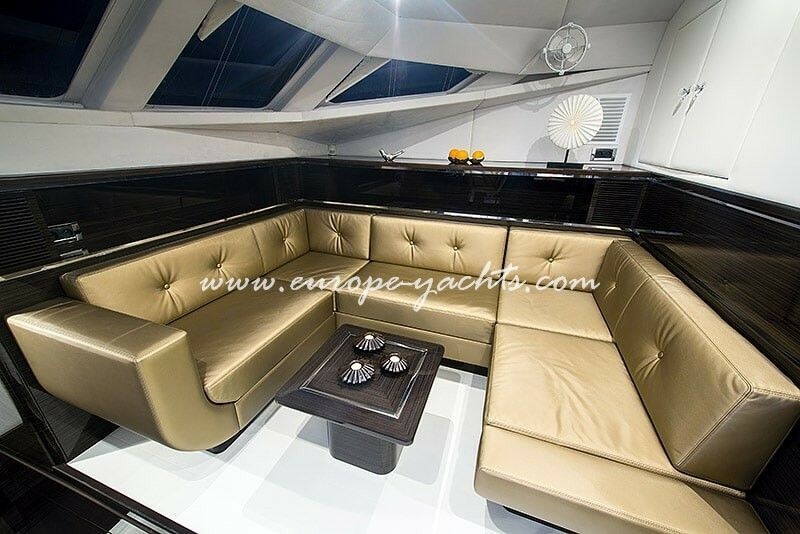 The saloon has an private dining table, with a modern galley and bar that houses and comprises finest furnishings and glossy decors creating a welcoming atmosphere to relax and enjoy your charter vacation. 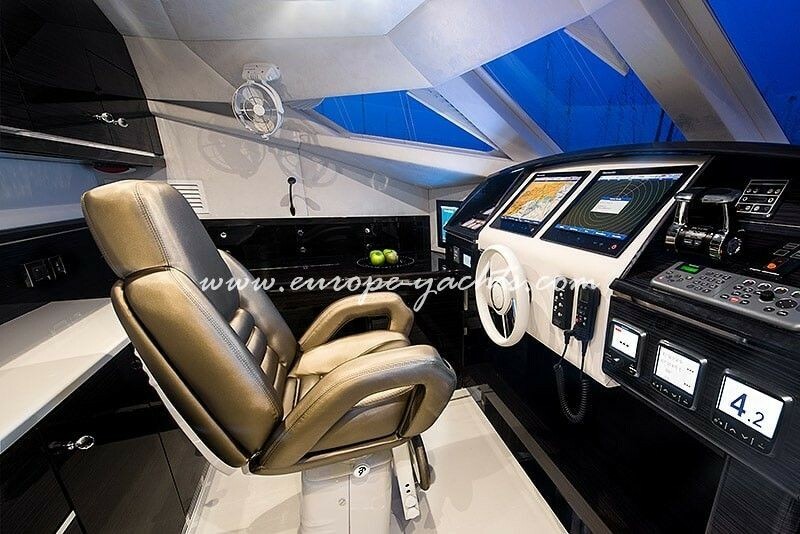 The modern master cabin in full-beam size that is in the front with facing windows forward and latest audio-visual entertainment systems that is putted all over the yacht. 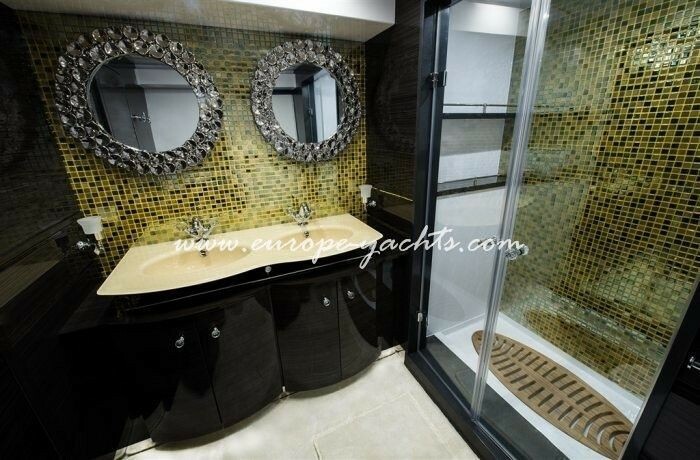 The large bathroom with shower and all the associated comforts are a matter of course. 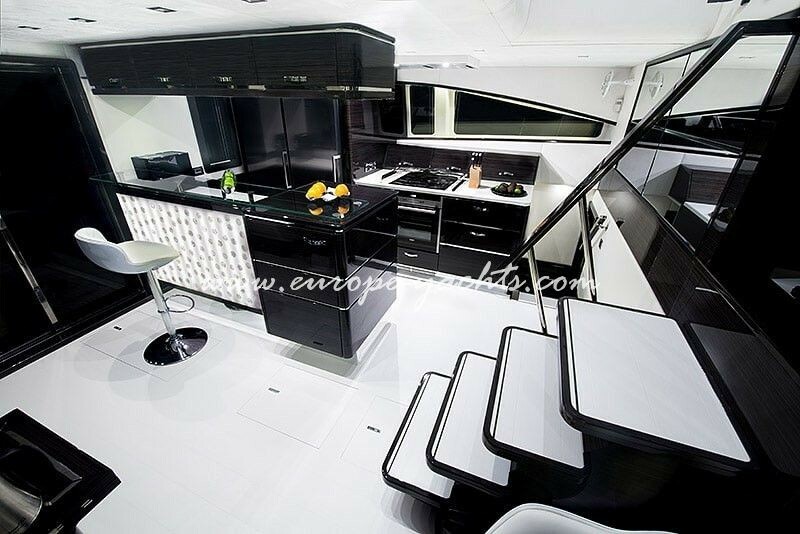 Sunreef Power 70 luxury catamaran represents a Sunreef custom-made motor yacht and therefore offers more: glass sinks with fine taps, fancy mosaic tiles as well as Swarowski decorated mirrors creating a modern yet elegant atmosphere. 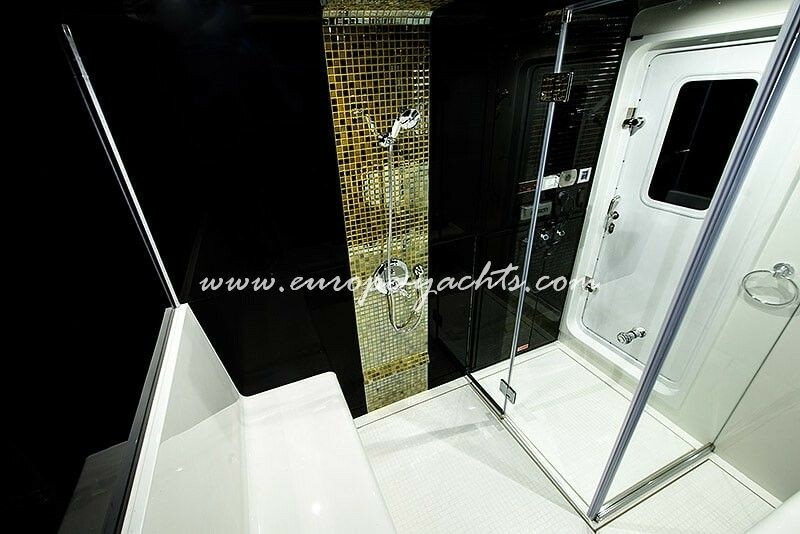 Even better, power catamaran Sunreef Power 70 for charter boasts with a Turkish Hammam bathroom located starboard stern. This private mini spa comes with generous spaces and features heated seating for up to 4-5 guests with separate shower. 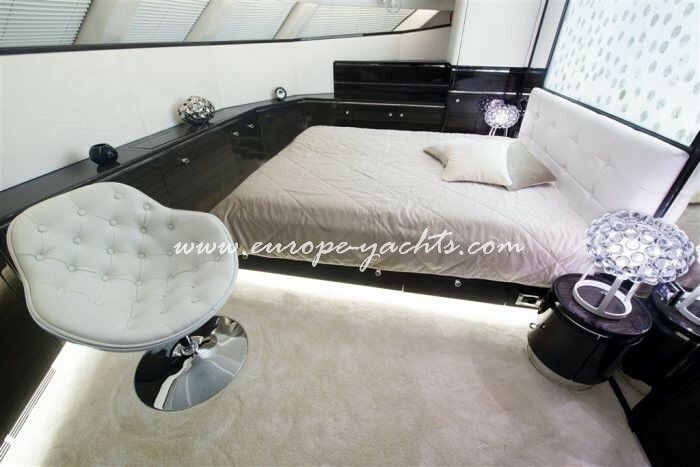 Accommodation on Sunreef 70 Power motor yacht provides 4 comfortable large cabins for up to 8 guests sleeping, Consisting of 3 double cabin suites and 1 twin cabin she is the ideal charter yacht for families and friends. 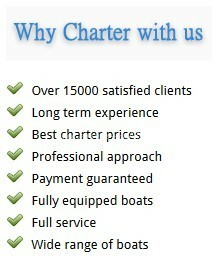 The catamaran is fully crewed and they are there to fulfill all your need for your best Croatia yachting holiday. 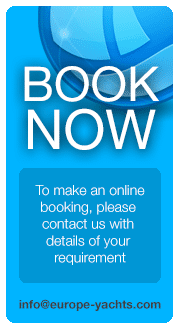 There accommodation is in the there own separate crew compartments to limit crew movements in favor of guest’s privacy and comfort. 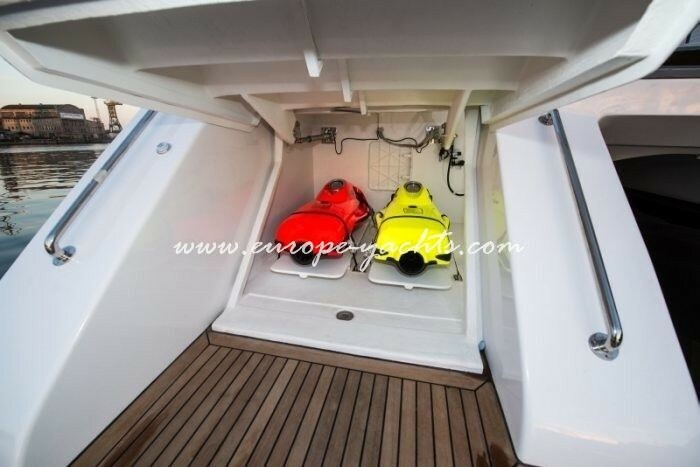 The captain is one of the best and most professional skippers in Croatia, he will ensure you will explore all the treasures of the Adriatic in style and comfort, whilst our hostess and chef will invite you to Mediterranean culinary adventures preparing the finest and freshest food for you. Be pampered by this impeccable and attentive team to experience a holiday of a lifetime. 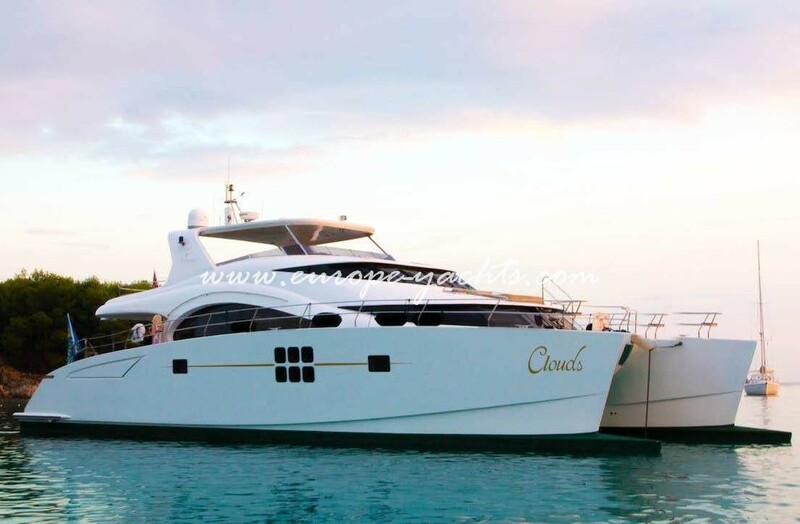 Sunreef Power 70 charter catamaran also scores with its performance. 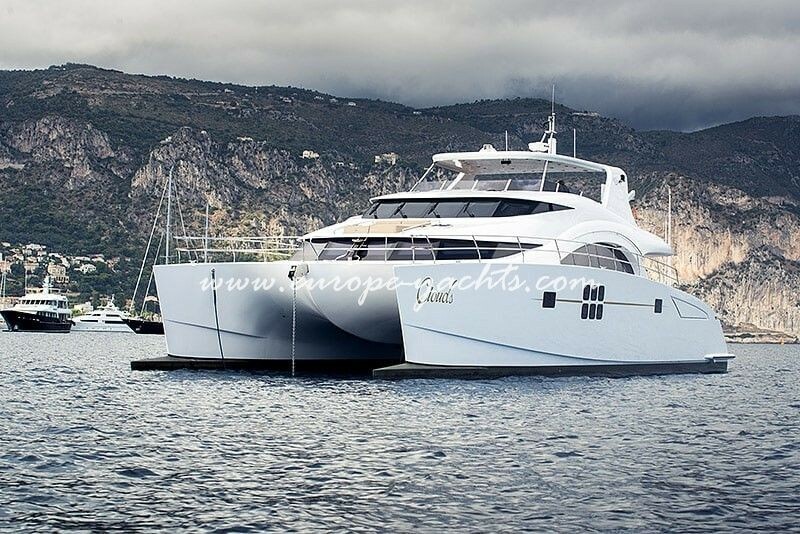 Being fast enough to cover a lot of distance whilst hopping some of the 1214 islands along the Croatian coast, this awe-inspiring cat also boasts with an extremely low fuel consumption combining the economic advantages of a sailing catamaran with the luxury and speed of a larger motor yacht. 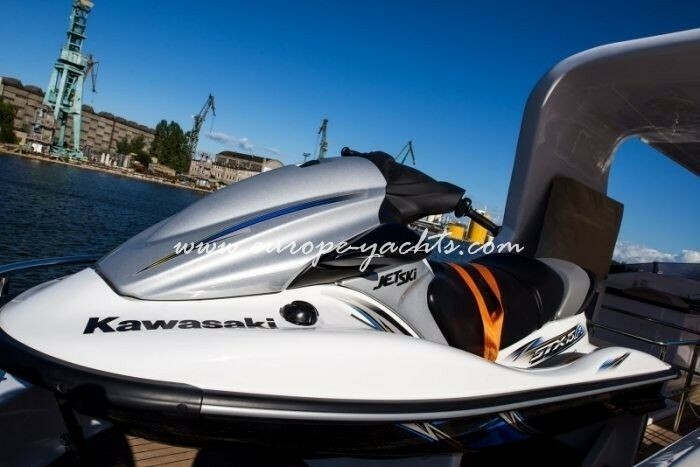 Seriously consider luxury power catamaran Sunreef Power 70 for your next charter in Croatia. 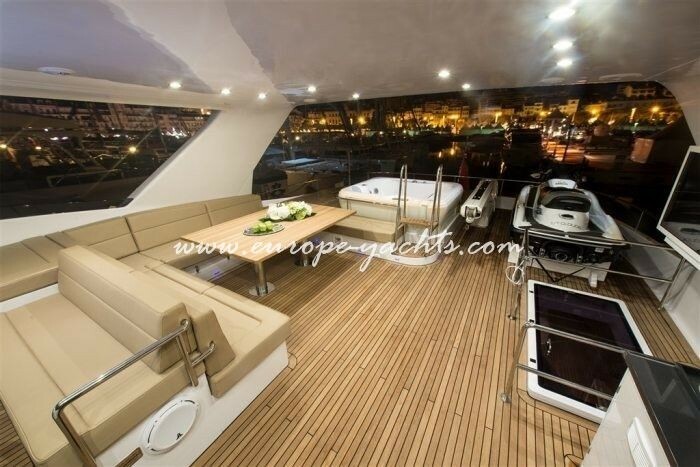 This stunning Sunreef Power 70 motor yacht is a winning formula with all its amenities, comfort and the fantastic crew ensuring you will have a great time on the Adriatic.